We also have a surface mount version in small SOIC format Touch Switch IC SOIC. Have you have ever wanted to add a simple touch switch to your project? 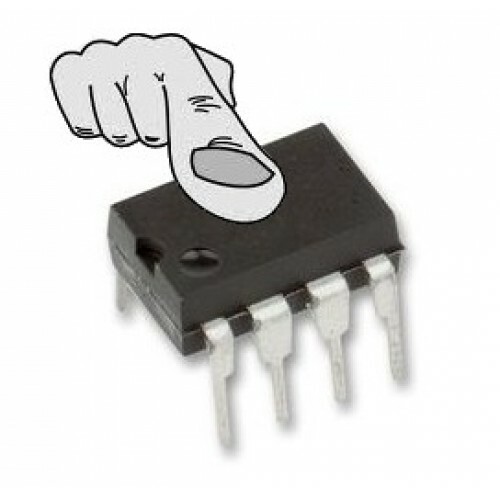 Well now you can with our touch switch IC you can now add momentary or locking touch switch functionality. Simple to use, the only other parts required are a 1M resistor for each input. Simply connect a touch sensor of your choosing to one of the input pins and that's it. For momentary operation connect the CFG1 / CFG2 pin to Ground. For latching operation, connect the CFG1 / CFG2 pin to +VDD.